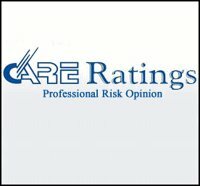 CARE Ratings is India’s second-largest credit rating firm in terms of ratings income for FY12. CARE’s total income and profit after tax CAGR during FY08-12 were 41% and 44.3%, respectively. RoE was 30.7% in FY12, and we see it in the high 20s for the next three years. The key drivers for the CARE’s Revenues are – 1) India’s macroeconomic growth, 2) CARE’s expansion into other markets like CRISIL ventured into rating Real Estate Builders, 3) its advances into new market segments such as small & medium enterprises (SMEs) and 4) India’s relatively under-penetrated bond markets. The stock currently trades at 20x FY13E P/E. CARE is expected to report an EPS of Rs 47 and Rs 57 for FY 14 and FY 15 respectively. We can value it easily at 22x FY14E earnings, which gives a Target Price of Rs1,050. The target multiple is at a discount to listed peers given the risks of CARE being a pure ratings name.